We are accepting voluntary “Short Articles” for publishing worldwide. How to became Guest Writer for us/Submit a New Post to us. Please submit your post to indianlegalsolution1@gmail.com and follow the below guidelines. Please mention the Title of the Post. The full content (body of the email) should be between 300-2k words long. Please mention the original URL to the event/opportunity at the end of the email. No affiliate links are permitted. Please use proper attribution of any outside sources used for data, quotations, or images that you use/reference in your blog post. Indian Legal Solution reserves the right to reject submissions that do not meet our editorial standards. 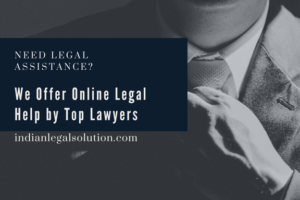 If your post is related to Legal Field then it’s Free of Cost. If you want to publish something different from Legal Field or a promontory post, then Just र100 (for Indian) & $5(International) for one Post.